What do these three things have in common: Diamonds, Dogs, and Double plays? They're all best friends. A diamond is a girl's best friend, a dog is a man's best friend, and a double play is a pitcher's best friend. 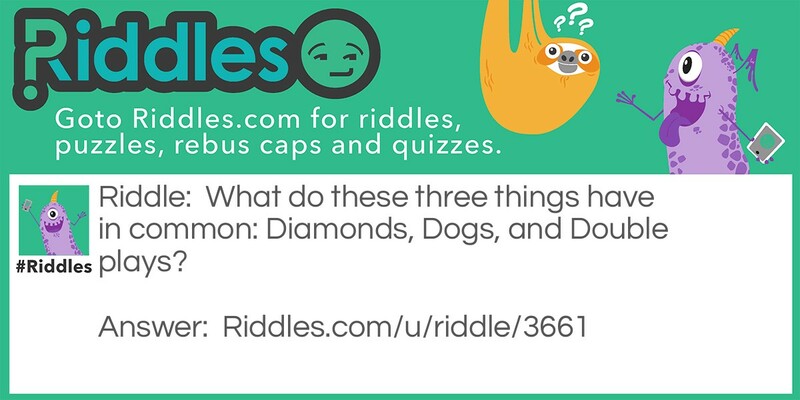 Diamonds, Dogs, and Double Plays Riddle Meme with riddle and answer page link.